What Is The Intercollegiate Horse Shows Association (IHSA)? Choosing a college can be difficult for most anyone, but especially for those who still want to ride. Just where do you want to spend the next four years of your life? Where does riding fit in? The Intercollegiate Horse Show Association (IHSA) provides a great opportunity for you to ride and compete while you are in college. But what exactly is IHSA? Let me start by giving you a brief overview of how the equitation competitions work. This is a very simple outline, so please visit their website for a list of full qualifications. IHSA is unique in that students do not bring their own horses to the show. Instead, the host college provides all the horses. Riders travel to the show’s location, which is hosted by a college within the team’s region. At the show riders then participate in a draw/lottery to determine who they will ride. After drawing a horse, the rider will mount, adjust their stirrups, and enter the ring. Riders are not allowed to warm up. The classes are equitation classes, and riders will be judged on the flat or over fences. There are 9 levels in IHSA: three jumping levels (Open, Intermediate and Novice) and six flat levels (Open, Intermediate, Novice, Advanced Walk-Trot-Canter, Beginning Walk-Trot-Canter and Walk-Trot). Each level has specific qualifications to ensure that riders are competing against others with a similar skill set and show experience. 1. Walk-Trot: Riders who have less than 24 weeks of professional experience, and never competed in ANY competition that required them to canter or lope. How do they judge classes? Riders are required to compete on horses they have not had the privilege of riding in the past. Because of that, the judge has to consider the horse’s ability. Simple changes, the use of the crop, and add step in over fences classes, are all permitted in IHSA shows. Suitability of the horse and horse difficulty are also accounted when being judged. By this I mean, if you are 5’1’’ and you draw a 17.2hh horse, you will not be marked down for not having an appropriately sized horse suitability. Many of the horses used in IHSA are donated and have varying abilities. Some horses have flying changes and some do not. The same is true of length of stride. Because the level of difficulty varies from horse to horse, the judge takes into account all the factors associated with the situation. Schools are grouped into regions based on location. Throughout the year, schools located within the region will host horse shows using their facility, horses, and tack. 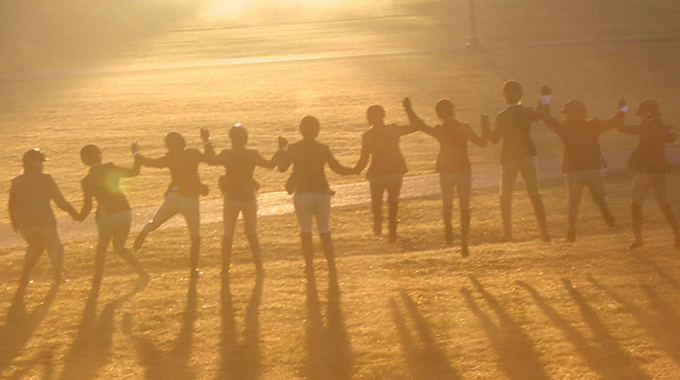 There are between 5 and 10 regular season horse shows throughout the fall and spring semester. Riders are pinned first through sixth, and each ribbon has points associated to it. The points are: First- 7 points, Second- 5 points, Third- 4 points, Fourth- 3 points, Fifth- 2 points, and Sixth- 1 point. The points from your placings at the horse show are documented after each show and added up. Once you have earned 36 points in the current level you are competing at you “point up” into the next division and you qualify for Regionals. When a rider competes at Regionals, they compete as an individual rider. They must place first or second to move onto Zones. Once a hunter seat rider is at Zones, they must place first or second to move onto the National Horse Show. So what does that mean? Competing in IHSA is an individual and a team sport. Each horse show has a number of rides per team allowed. In Zone 4 Region 5, 16 is the average amount of rides allowed per show. That means each team will have riders in 16 classes. But since there are only 9 levels, some levels will have more than one rider. On the day of the show, the head coach will choose one person from each level (8 people) to represent the team. Those 8 people will be competing for personal points as well as points for the team. Think of them as the “offense.” The other 8 riders will still be competing, but think of them as the “defense.” Even though their points do not go towards the team, if they win that means the other school didn’t get the first place ribbon. Every member of the team is an important aspect. Whether you are offense or defense, every person contributes to the success of the team. Just like individuals, the points earned at the horse show are documented after each show and added up. At the end of the season the team with the most points will represent the region at Zones. When a team competes at Zones they take just their “offense.” The team must place first or second to move onto Nationals. Welcome to the wonderful world of Collegiate Riding! Visit ihsainc.com for more information about colleges involved in IHSA. 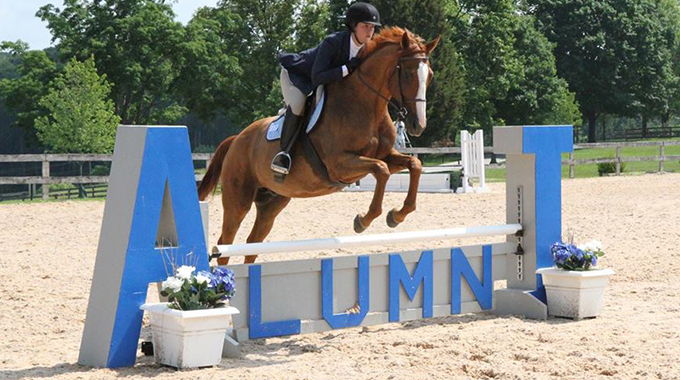 Kayleigh is a 22-year-old equestrian raised in Northern Virginia. She began riding at the age of 5 and competed in the local equitation and hunter circuit as well as ‘A’ shows until college. Kayleigh graduated from Virginia Tech in May 2015 with her B.A. in Public Relations. 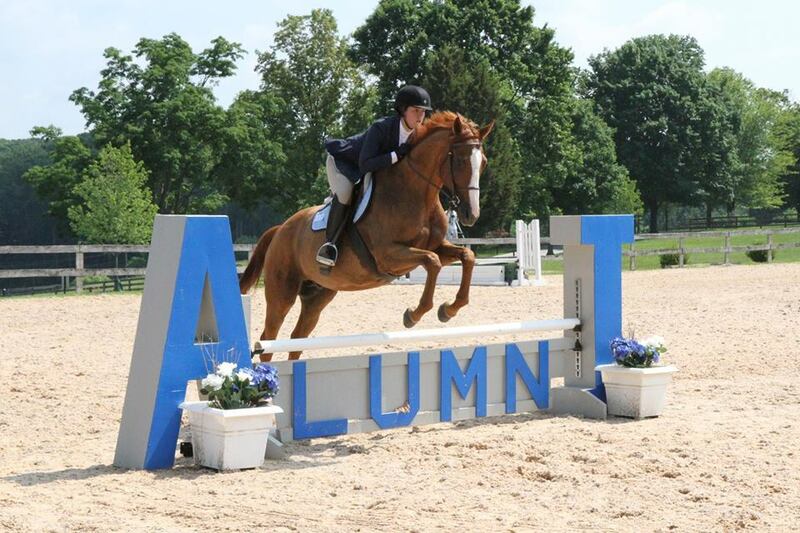 While in college she competed with the Virginia Tech IHSA Hunt Seat team for 4 years. During those four years, she served as team manager her Junior year and Team Captain her Senior year. She is currently working on her M.A. 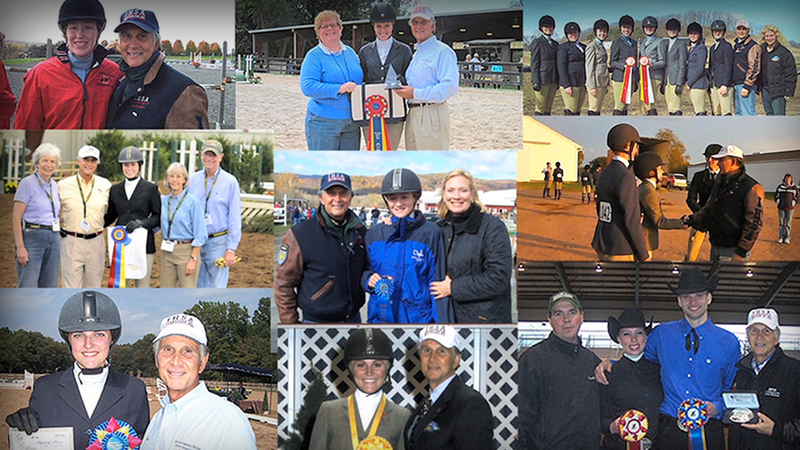 in Communication and has continued on as the assistant coach for the VT IHSA equestrian team. 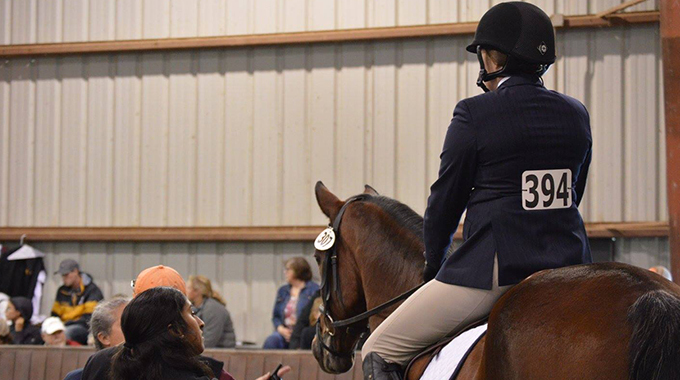 IHSA veteran, Kayleigh Burke, shares her insights on common mistakes riders often make at their first IHSA show. Are you unsure about the differences between IHSA and NCEA? In this post Kayleigh Burke compares these two organizations us.